Hibox SmartRoom is based on the use of the principles of digital and IP-television and the latest technologies for the transmission, display and storage of data. 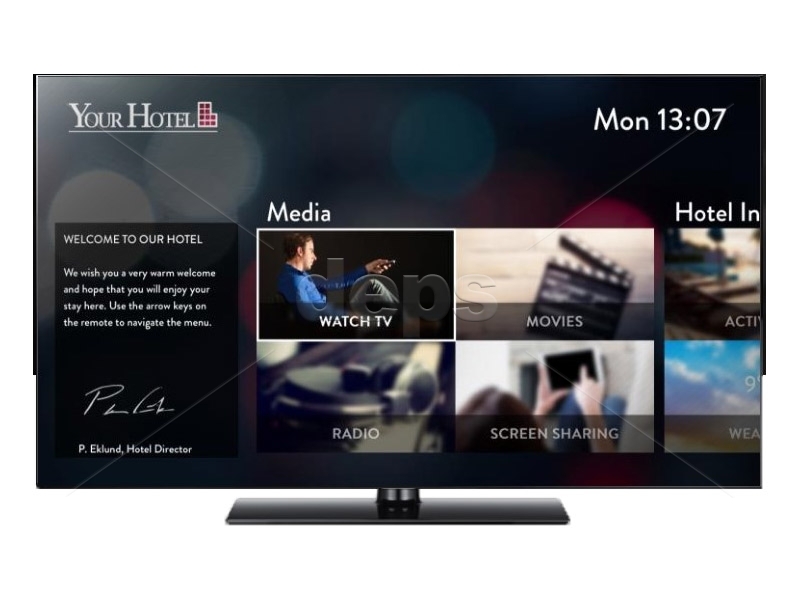 Using the hotel interactive television system Hibox SmartRoom hotel not only offers guests new leisure opportunities, but also increases the profitability of existing services. Hibox SmartRoom was developed taking into account the latest achievements in the field of human ergonomics and psychology. The interface is intuitive and does not require training for a person who can use the usual TV remote control. User-friendly web-interface of the system administrator. Does not require the installation of a workplace, works from an Internet browser. Electronic Program Guide (EPG) with the description of TV shows, fast switching between channels, the recommended channel list system, personalized channel lists for each of the guests. Video on Demand (VoD), which allows a guest to access the video content library. The guest can choose a transfer and a convenient time for viewing. Video files can be conveniently cataloged to simplify the navigation process. Supports the possibility of previewing, rating for each film and a system of recommendations based on previously reviewed materials. Digital radio - access to hundreds of digital radio stations. Support for "PiP" mode - picture in picture. Support for video content with multiple audio tracks and subtitles. 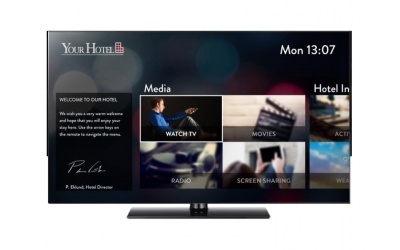 Support for Screen Mirroring (AirPlay, Miracast, UPnP / DLNA) - guests can take photos and videos from their mobile devices to TV without using wires.